The blur is wonderful. Love the shot. Gelukkig, je bent weer terug! Wat ik het mooie vind aan deze foto is de beweging van de mensen en het licht van de metrohal. Het ene zorgt voor een relaxte sfeer terwijl de mensen toch weer voor wat dynamiek zorgen. The story behind "Moscow subway traffic"
172 stations, 280 kilometers of lines, 2.5 billion people per year standing on 65 kilometers of escalators. 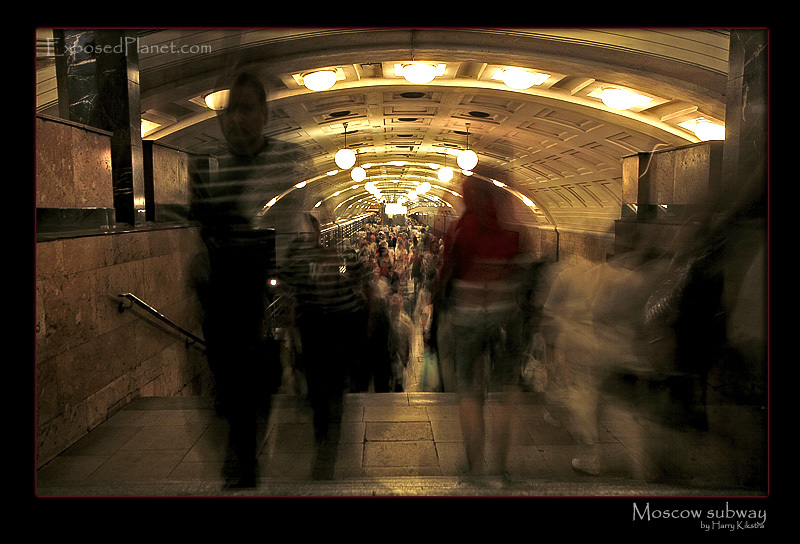 The Moscow Metro/subway system is one of the biggest and busiest in the world. Excellent and fast way of travelling through the city, without it the complete city and all its congested 12-lane highways would come to a complete stop.